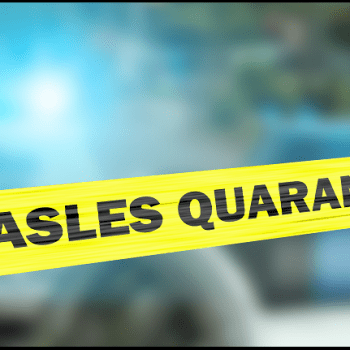 GoFundMe announced that they would no longer allow individuals to raise money to spread vaccine misinformation. 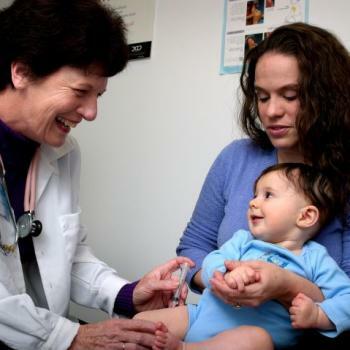 As a result, Stop Mandatory Vaccination leader Larry Cook lost his primary source of income. 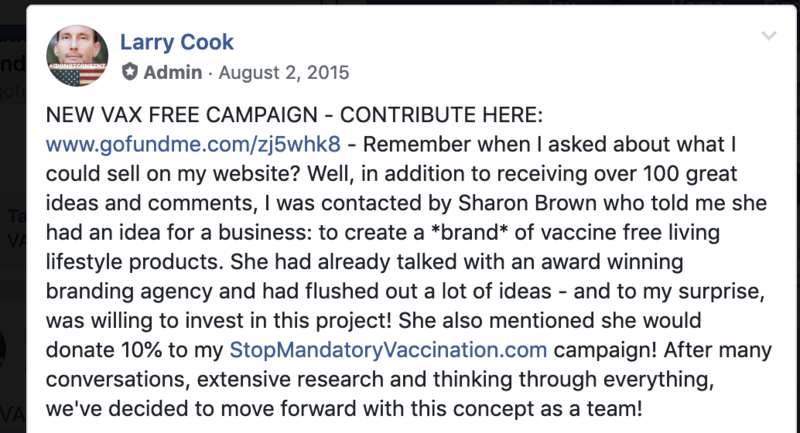 In an update in his group, Cook rallied his troops to get involved in anti-vaccination activism by purchasing his products and services. 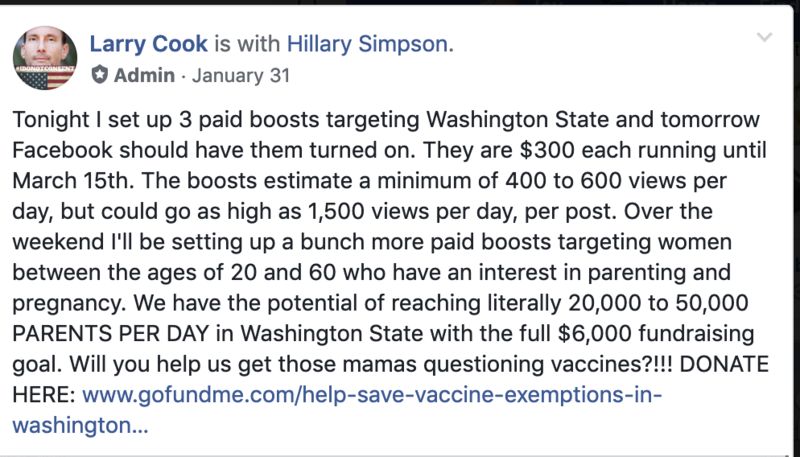 For years, Cook used GoFundMe to raise hundreds of thousands of dollars for various “projects.” Anytime something happened within the anti-vax world; Cook started a campaign. While a few of the fundraisers remained active online, others were removed by Cook as soon as they ended. 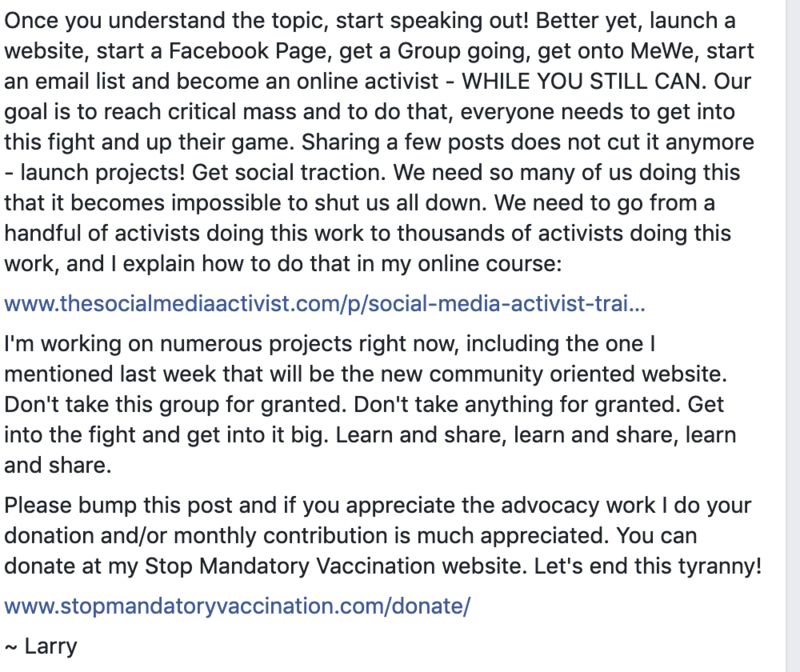 A quick dive through his Facebook group Stop Mandatory Vaccination provided insight into the frequency that he exploited the group for donations. 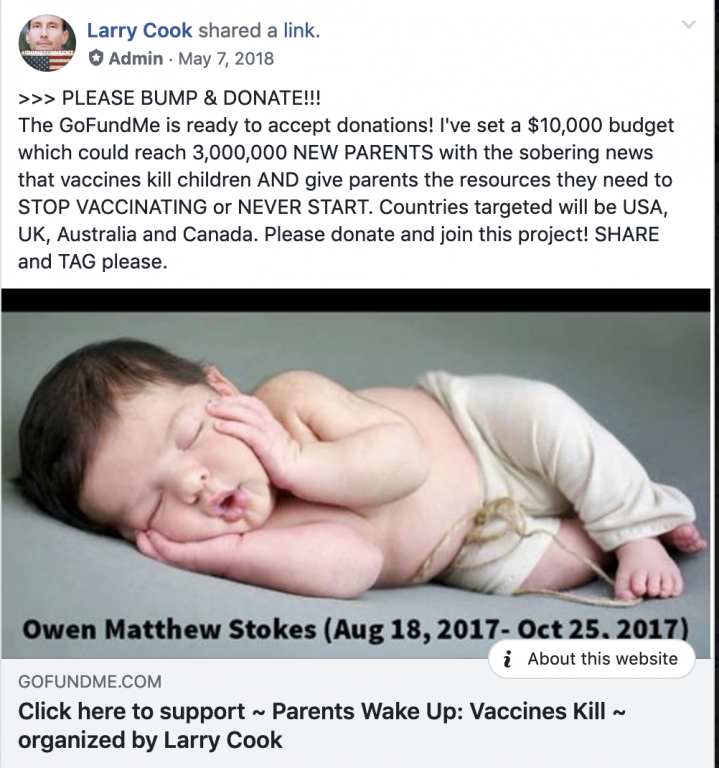 Within the group, I searched both “Larry Cook” and “GoFundMe” and found seven separate campaigns Cook started in less than four years. Below I’ve included links for the campaigns he started – all of them are no longer on GoFundMe. 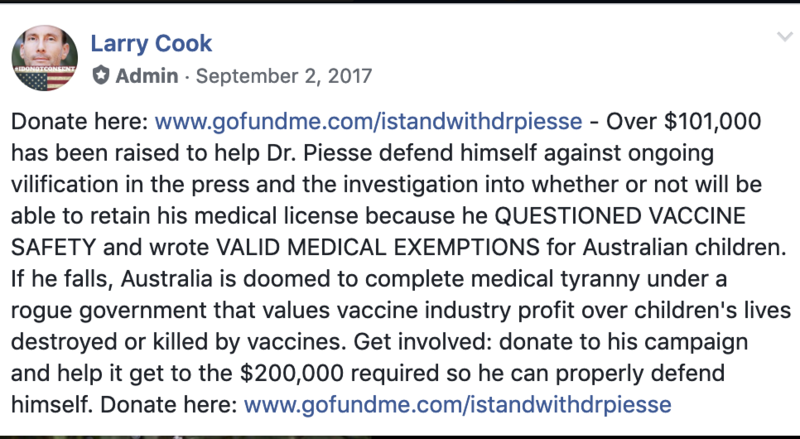 The campaign titled “I stand with Dr. Piesse,” raised over $100,000.00. There is no way to know how much of that amount Cook pocketed for himself. While some campaigns earned more money than others, Cook consistently created new campaigns to earn more income. However, the fact remains Cook used the group for years to elicit donations for his cause. 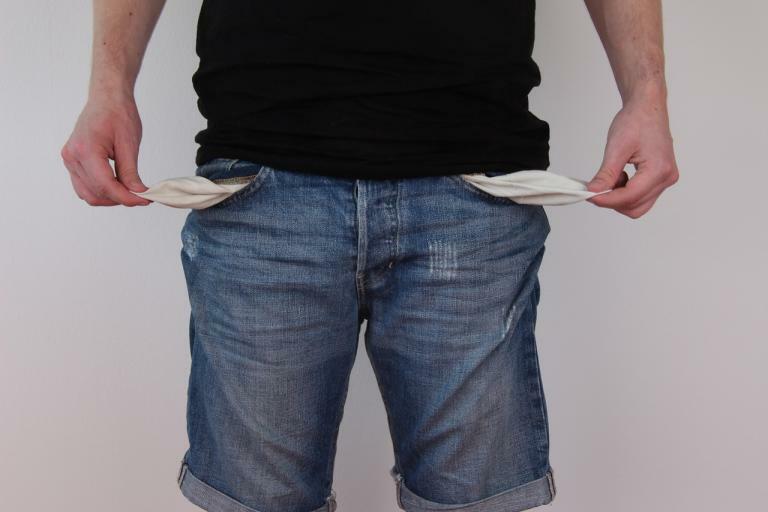 Based on the amount he received through the campaigns, there is a high probability that his most significant income source derived from GoFundMe. 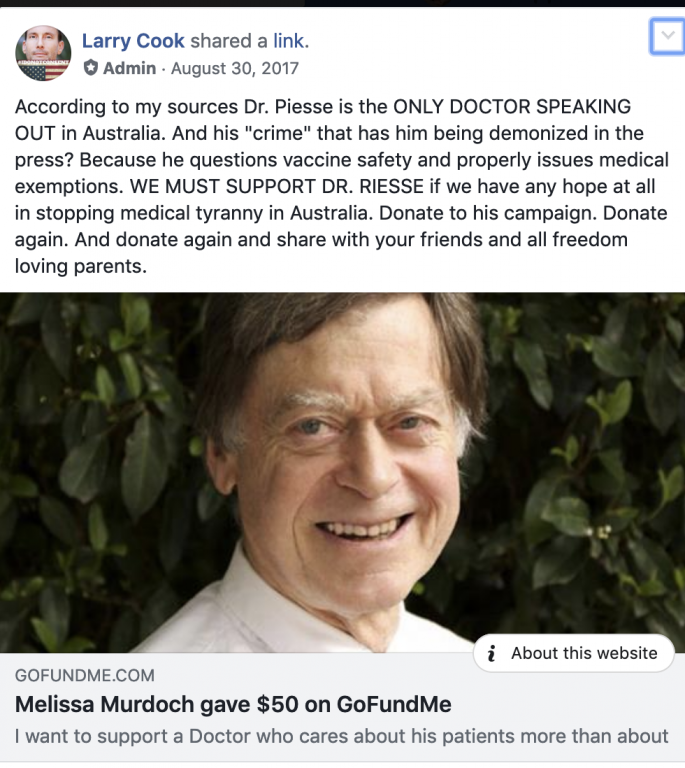 Therefore, the announcement by GoFundMe to no longer allow campaigns that spread vaccine misinformation was a considerable blow to Cook’s wallet. 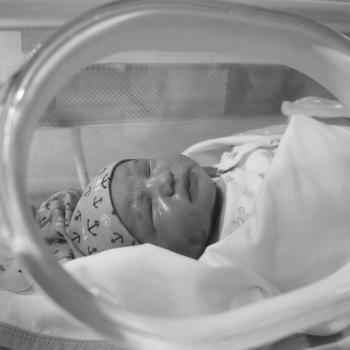 After the news of the change went viral, Cook remained relatively quiet for nearly a day. However, he broke his silence yesterday evening to share his feelings with the group. Instead of using the opportunity to reflect and possibly change his behavior, Cook cried to the group that the censorship was ruining the movement. His answer to the group was that more people need to get involved, educated, and start advocating for change. How does Cook plan to help the group meet this goal? Simple, he wants users to buy books through his Amazon affiliate store, purchase a $99 virtual seminar about social activism, and donate directly to his PayPal account. Yep, you heard that all correctly. Larry responded to the group by asking them to give him more money. 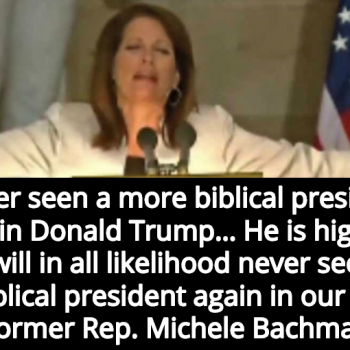 His motivations are crystal clear to everyone on the outside. Cook is using his leadership role to earn money and trick people into donating to his cause. 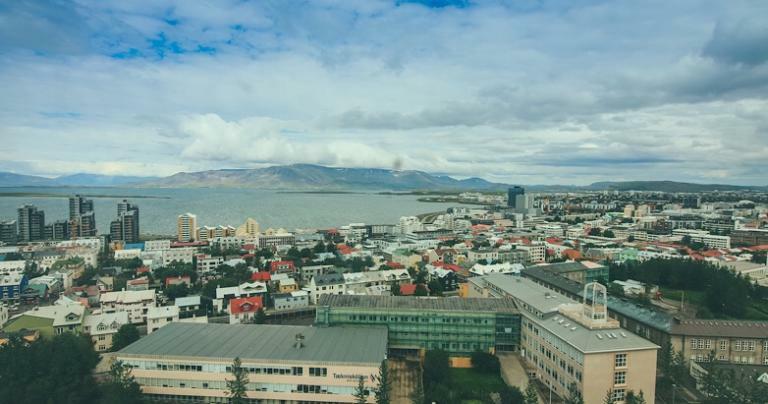 However, the money donated to him rarely supported any of his projects. He admits he uses the donations how he sees fit. GoFundMe at least provided an insurance policy to donors. If someone believed Cook took money under false pretenses, they could request a refund from GoFundMe. Now any donations made to Cook are made so at their own risk. Thankfully, Larry’s money train is quickly drying up. 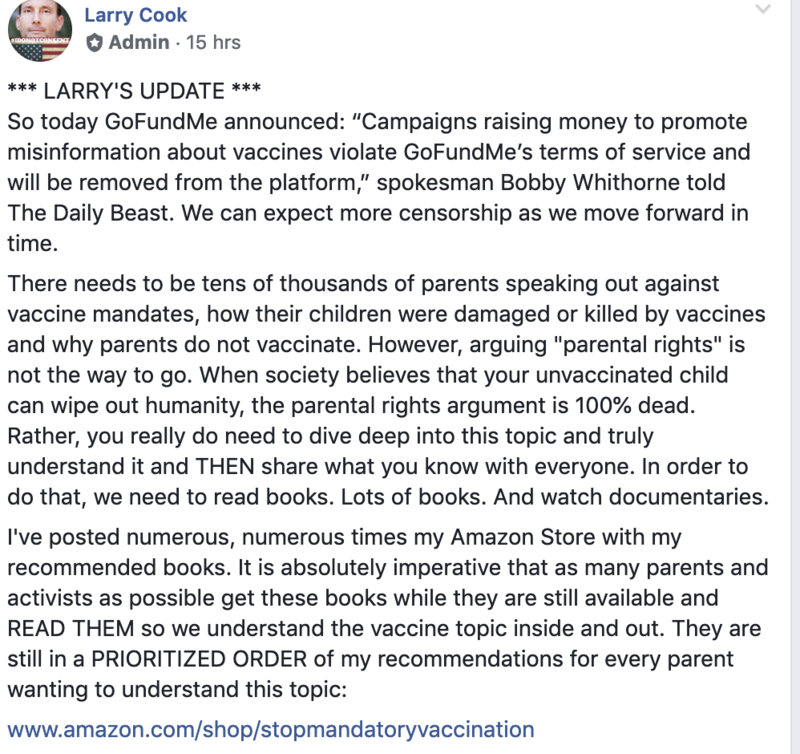 If Amazon and PayPal ban him from their platform, Larry might need to brush up his resume and find a real job. His days of conning people for a cause appear to be numbered. 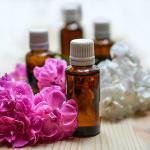 *Katie Joy is a columnist and hosts Without A Crystal Ball on Patheos Non-Religious Channel. She writes articles on parenting, disability advocacy, debunking pseudoscience, atheism, and crimes against women and children. She co-hosts the YouTube show, “The Smoking Nun,” with Kyle Curtis. The show airs weekly and tackles pseudoscience, current events, and crime stories. Communicate with Katie on Facebook, Twitter, Instagram, and YouTube. Buy Katie Joy a cup of Coffee. Individuals wishing to help Katie with her expenses can become patrons. Patrons gain exclusive access to stories, new projects, and future books. "It's woo. If there's no science behind it, then it's BS. Sell your magical thinking ..."
YouTube Terminates Channel that Promotes Drinking ..."
""However, there seems to be something seriously wrong with their understanding of God. If God ..."
Religious Parents Sentenced to Life in ..."
"Yeah, ingesting 100% pine gum spirits is "woo." 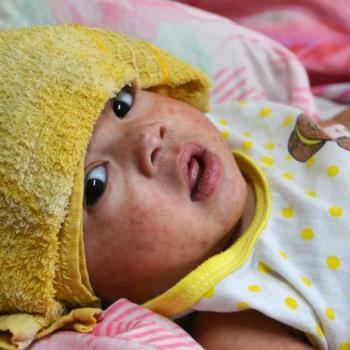 But injecting live-attenuated pathogens into your blood ..."
"Children become the property of the parentsThis attitude, that children belong to their parents, creates ..."
Or he could set up a Bitcoin wallet, post his stuff on un-moderated platforms which are chock-full of like minded conspiracy theorists, and not miss a beat. Please, sir or madam, donate generously to the morally deprived. whats misinformation? 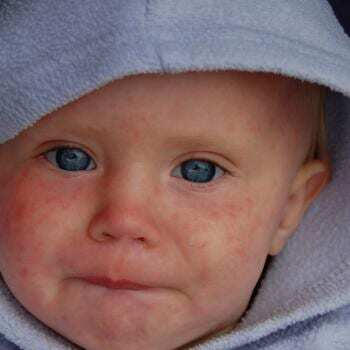 thousands of moms telling their stories of vaccine injury on vaxxed.com? or the use of aborted fetal cells to make vaccines? or the kangaroo court that has paid out over 4 billion in damages? or that the vaccine companies are liability free? or that vaccines only go for days of safety testing and don’t use a true placebo? WHATS THE MISINFORMATION IM MISSING? Everything there you just said is misinformation. It’s tragic that he’s having trouble making money with his child-killing avocation.